Valve steel flange 15с20п DN20-35pcs., Valve brass coupling 15б3р (1R) DN15-6щт.,DN20-25pcs., DN25-49шт., DN32-22щт., DN40-7pcs., DN50-3pcs. Valve, cast iron coupling 15кч18п, (33P) DN15-13pcs., DN20-9pcs., DN25-17 pieces., DN32-54шт., DN40-46 PCs., DN50-54шт, 15кч2п2 DN 65 was-5pcs, 15ч8п DN80 – 9 PCs. 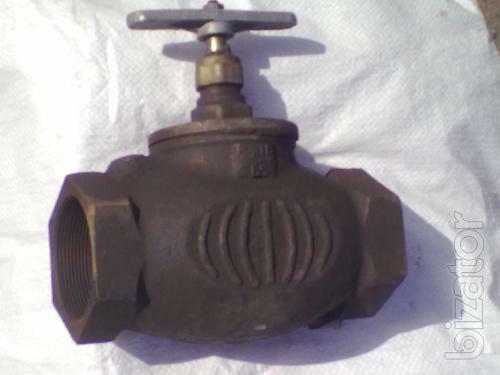 Valve cast-iron flanged 15кч19п (34п) DN40-25pcs. Valve steel coupling needle 15с54бк2 (VI) Ру160 DN6-69шт, DN25-24pcs.